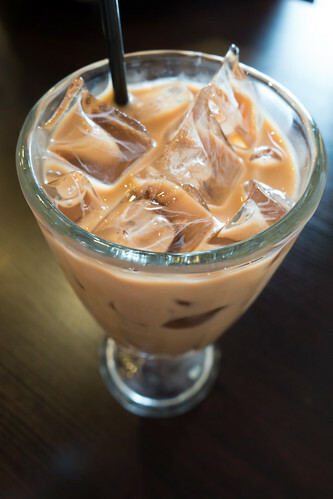 Ice Teh Tarik | ohdenny. 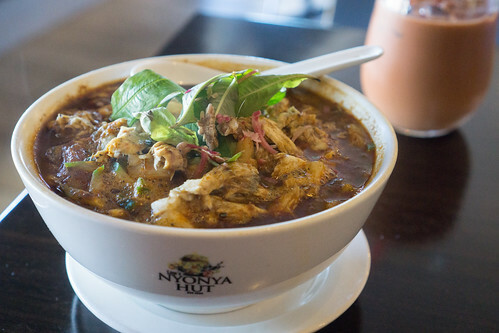 OldTown White Coffee opened its first restaurant in Melbourne earlier this year. Old Town already has a presence in Australia through its 3 in 1 White Coffee sold in quite a number of Asian grocers across Victoria. 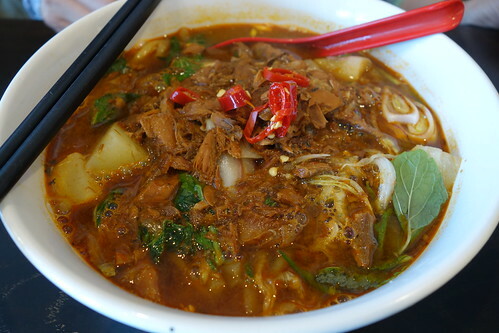 Originally from Ipoh, Malaysia, it has spread across Malaysia and into parts of Asia as well. 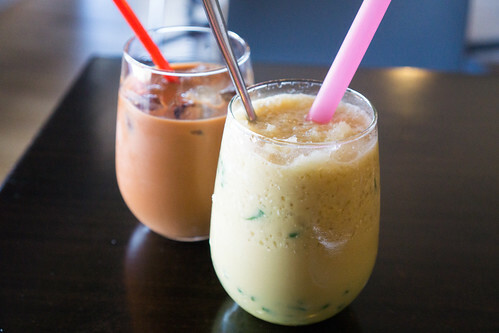 It’s similar to PappaRich with its prominent drinks menu and wide variety of Malaysian dishes to choose from. 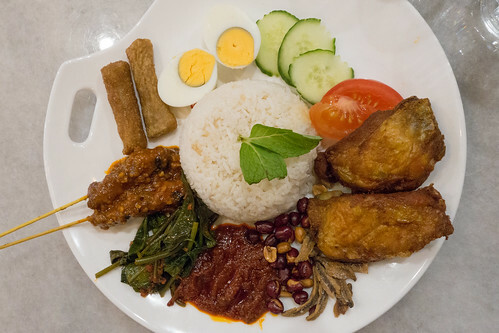 Oldtown’s Nasi Lemak comes with a number of sides, such as fried chicken, satay skewers and seafood sticks and of course sambal. The sambal is quite fragrant, although is sweeter than I would like. I still would say PappaRich’s sambal trumps it but it’s not far off. 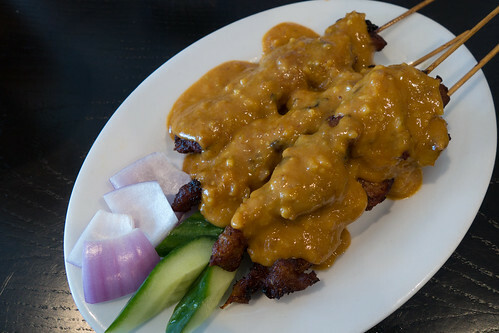 I found the satay to be warm, and not hot, which indicated to me that they pre-cook it. I suppose that’s to be expected as to speed up the order to serving time. The fried chicken, however, appears to be cooked to order. The coconut rice leaned towards the mushier side of things, and the fried seafood sticks were interesting things but I wasn’t a big fan of it. Overall, it’s a nice dish with many accompaniments which is a plus! Their Balacan Seafood Fried Rice is delicious. It has that lovely fragrance of spices and it was spicier than expected. I simply adored the Roti Canai, it’s fluffy and crisp. 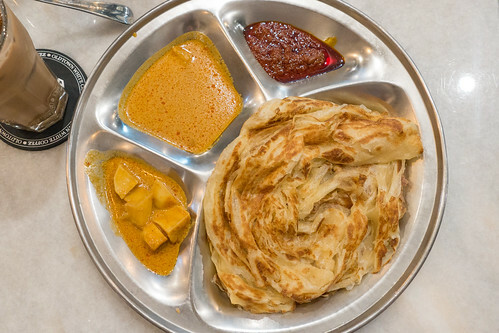 It’s my favourite Roti Canai in Melbourne. Every other Malaysian restaurant does it the typical square shape and although it’s crispy when cooked on the stove, it lacks this lightness to it that Oldtown’s has. It’s served vegetarian with a Curry, the typical Dahl curry (without the Dahl) and sambal. 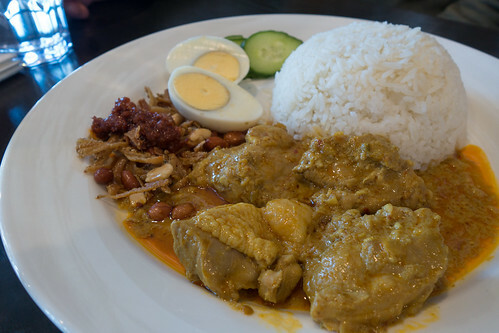 Mamak’s curry probably beats it in terms of flavour but its all pretty similar in my books. I’d go back just for this Roti though, it’s that good. Their Ice Kacang looks exceptional but leaves a lot to be desired in terms of taste. It’s overly icy, the shaved ice is too rough for my liking. 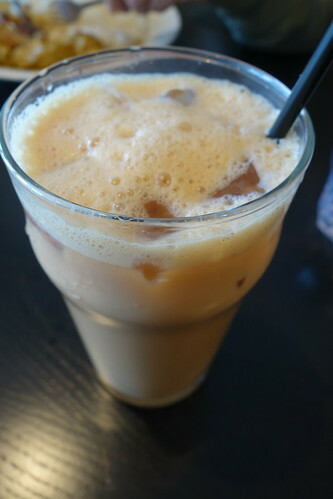 It lacks the red syrup (usually like a rose syrup), but does have the brown sugar or palm sugar syrup. 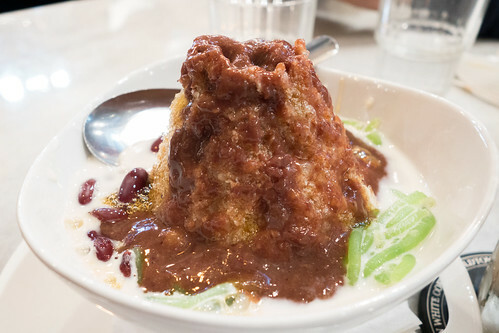 The cendol jelly is a nice bonus but once you get the syrup, condensed milk mixture wrong, it really lets everything else down. 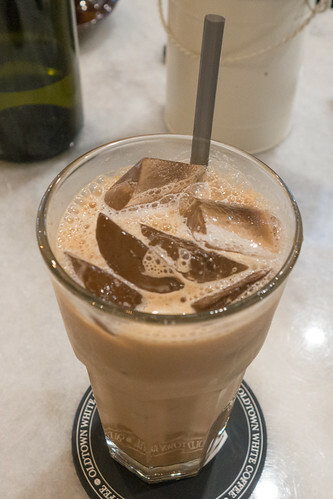 Oldtown’s Ice Teh Tarik has a wonderful strong tea taste, though just a tad too sweet for me. One of the better ones in Melbourne. 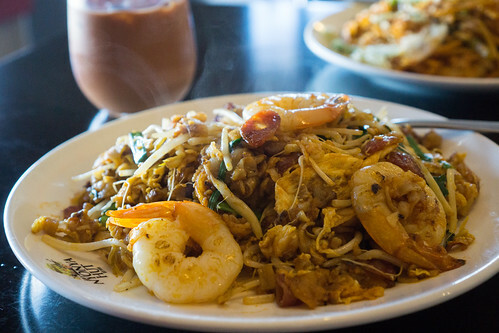 The reviews for Oldtown make you really question whether you would want to try it out. 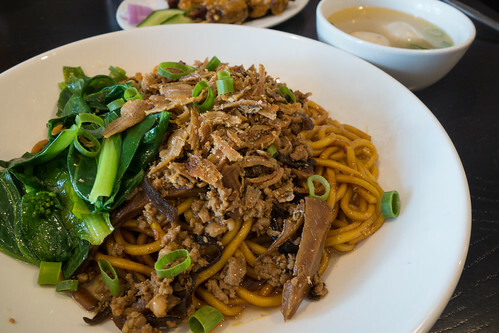 Maybe, I dined on a good day when service was pretty fast, although not particularly friendly but that’s pretty much expected at most Malaysian/Asian restaurants. Taste-wise it’s definitely above average and I can’t really understand the poor reviews it has received apart from the pricing which is a $1 to $2 more than most Malaysian restaurants. I’d go back. Straits of Malacca opened last year in Box Hill, in a place I never knew could even house another restaurant. Situated on the far eastern side of Box Hill Central, close to Station St and with entrances from Main St and Station St, it’s easily accessible. Straits of Malacca in Glen Waverley, didn’t overly impress me on my initial visit but you can definitely find a pretty good meal there. The Box Hill outlet may not match Glen Waverley in terms of tastiness but it does come close. 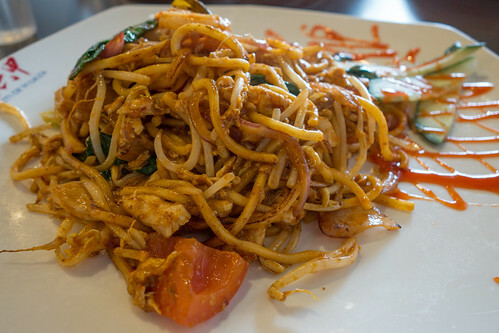 Their Indian Mee Goreng has all the ingredients for a great Mee Goreng and has a subtle tomato flavour to it but doesn’t overwhelm the dish with the other spices and sauce. 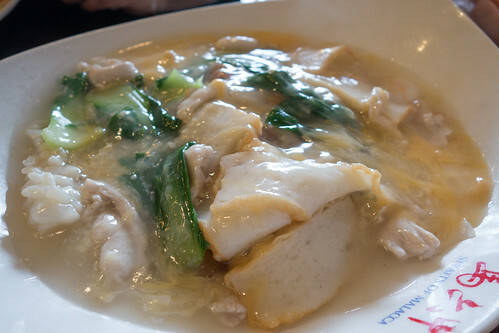 Straits of Malacca’s Char Hor Fun (Wattan Hor) has that lovely “wok flavour” and aroma to it, with a milder tasting egg sauce but nonetheless it’s quite tasty. 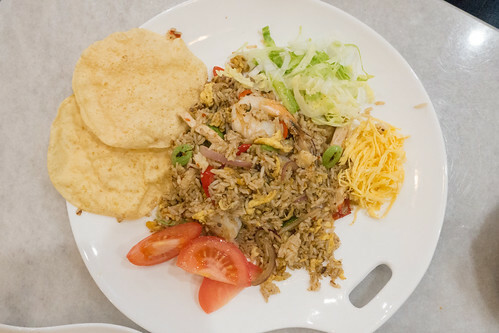 Their Nasi Pataya isn’t quite as good as Petaling Street in terms of their fried rice incased in the egg, but they also do it differently with the addition of a salad with crispy fish and crispy spring rolls. 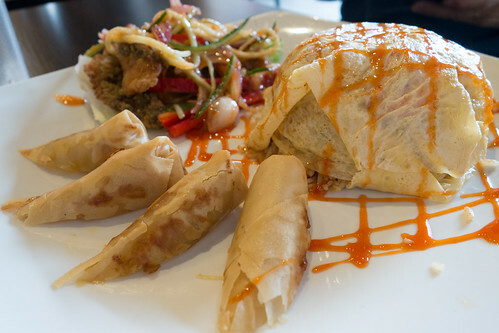 The egg wrap is also very thing (just how I like it) with enough sweet chilli sauce to bring it all together. Funnily enough, it was their Teh Ice that I enjoyed the most. It has the right amount of tea flavour but not overly sweet. How it should be! Straits of Malacca sprinkles a bit more of Malaysia into the Box Hill food scene, and although it seems many aren’t too taken by it. 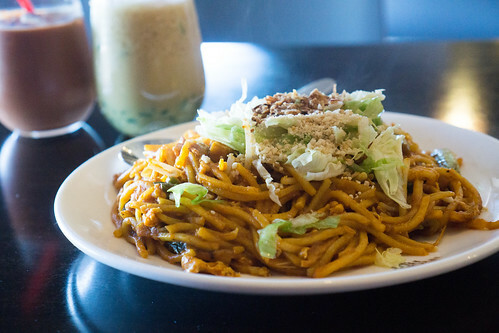 I find it to be overall quite decent in flavour, not as great as the Glen Waverley outlet but definitely not bad as its made out to be on Urbanspoon. Would dine again.